I would just like to tell you how amazing our driver was last night. ...getting over Rabbit Ears in that white out was something that I would not have been able to do. I've lived in Steamboat for 7 years and have never experienced conditions like that. I thank my lucky stars that I was on Go Alpine and that she was driving. 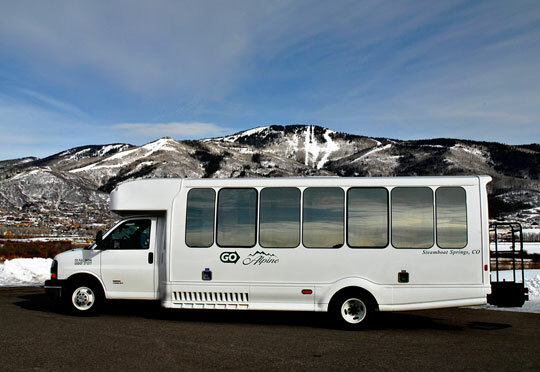 We don't like to drive in mountain or winter conditions and I know I can count on your professional team of drivers at GO Alpine to get us safely to and from the Denver airport. Usually, we arrange a pick up at the airport and return trip when we book before visiting - they are at the airport and drive you right to your destination - the drivers are friendly and helpful if you want any recommendations. 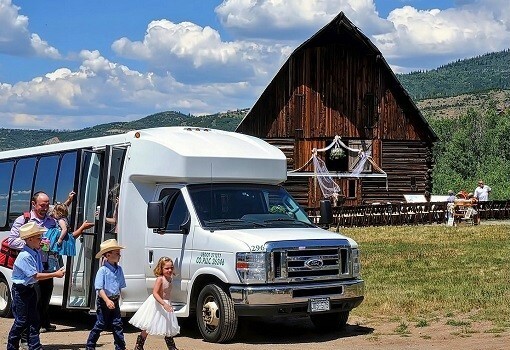 We had a great experience with Go Alpine for wedding shuttles from Steamboat to the wedding site 25 miles outside of Steamboat. Thank you Go Alpine and Jax!! Go Alpine recognized as Top 50 Companies to Watch in Colorado! Go Alpine was recently recognized as a Top 50 Companies to Watch in Colorado by Colorado Biz Magazine. Learn more from our article in the Steamboat Pilot here. 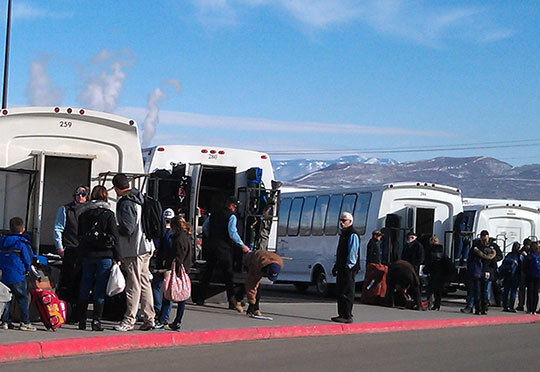 Go Alpine makes the cover of Busline Magazine! Click here to see the entire article. Meet Van, our mascot, and follow his adventures on our Facebook Page. Van has become somewhat of a celebrity and is always up to something...going places and doing things! 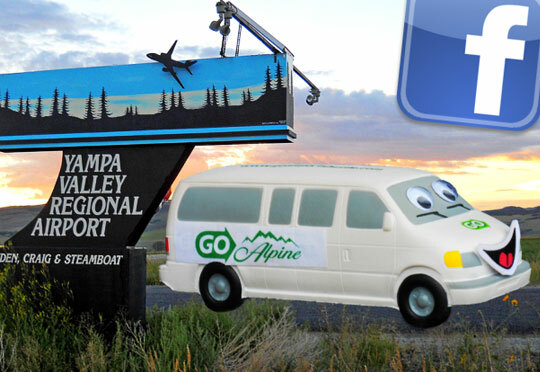 To stay up to date on what's new with Van, click the "Like" button!